As I mention in the Seasonal Approach to moisturizing, our skin has different moisturizing requirements at different times of year. During Winter, the dry and cold air robs our skin of moisture, allowing for dry, irritated skin to develop. But this is where my simple and oh so effective moisturizer comes to the rescue. Don’t be fooled by the simplicity of it- both my personal experience and its beneficial properties described below will be enough to convince you too. 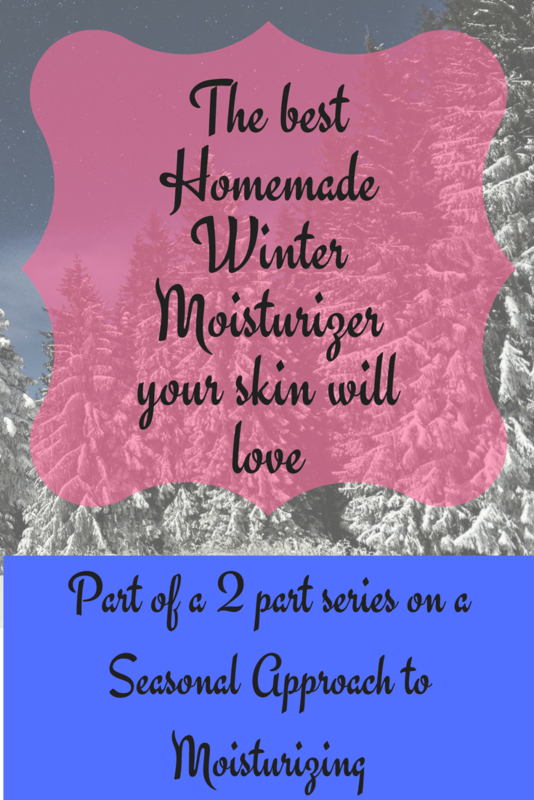 Remember to check out my Summer moisturizer recipe for those warmer, sweaty months as well. 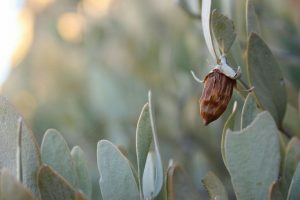 After washing your face, massage about 4-6 drops of jojoba oil onto your face to lock in moisture. The more you massage, the more the oil* gets absorbed quickly into your skin. That’s it! Besides smelling wonderful, it absorbs deep into the skin to support collagen production and help regenerate cells. It also contains Vitamin C and Omega 3 and 6 fatty acids, which help heal and brighten skin. This is actually the only essential oil I use on a regular basis and I am completely in love with it. Commonly known for its antibacterial and acne-fighting properties. I find its scent to be a little overpowering sometimes, so I tend to not use it that much. This is what I use instead of tea tree oil when I am looking for an antibacterial quality, and my husband swears by it as a spot treatment for angry pimples. It has antimicrobial, anti-inflammatory, and cell regeneration properties. Its fragrance is soothing, no doubt, but it also has soothing effects on our skin. Did you know that you can use straight up lavender essential oil on superficial skin burns, too? I’ve used it and it works! There are many, many essential oils out there. These are the ones that I have used and have found to be beneficial. I encourage you to find the right ones for you and please share your experience. As for my summertime moisturizer, check out the next post: summertime moisturizer.